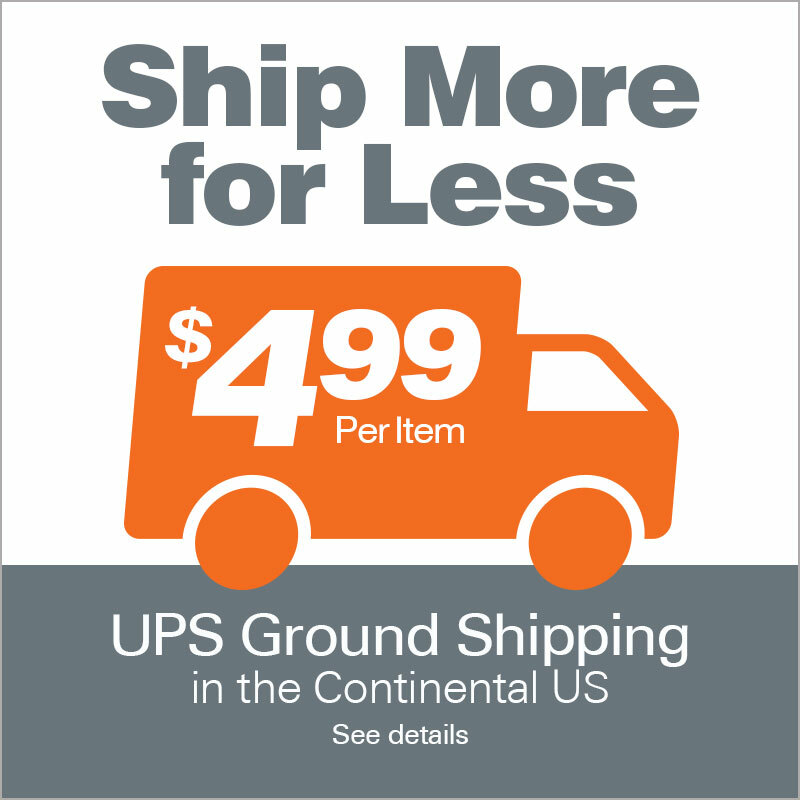 Host the perfect party and enjoy it. 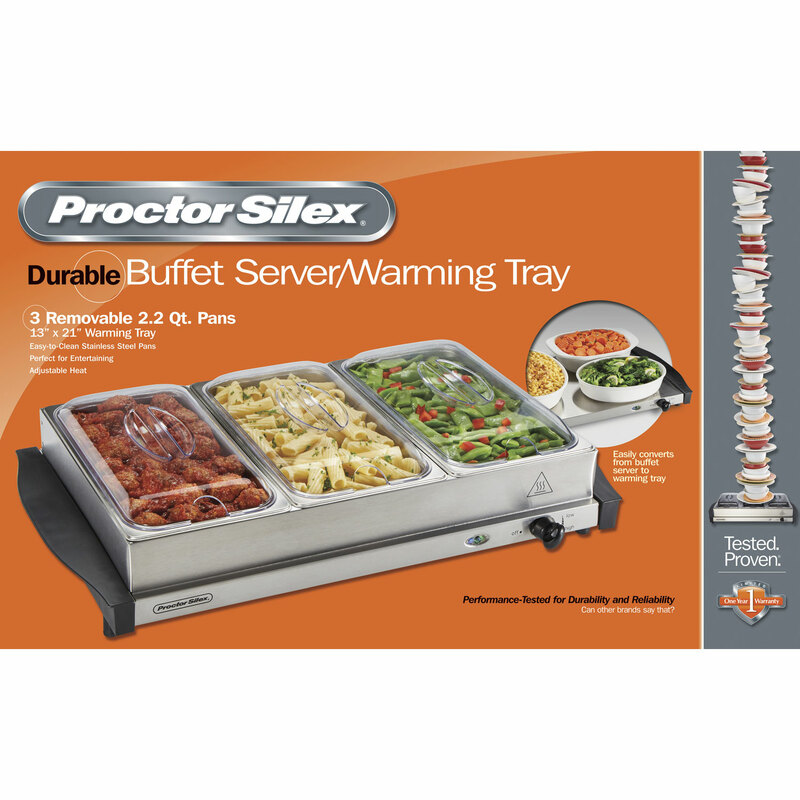 With the Proctor Silex Buffet Server and Warming Tray, there’s no reheating or refilling appetizers and entrees during your event. 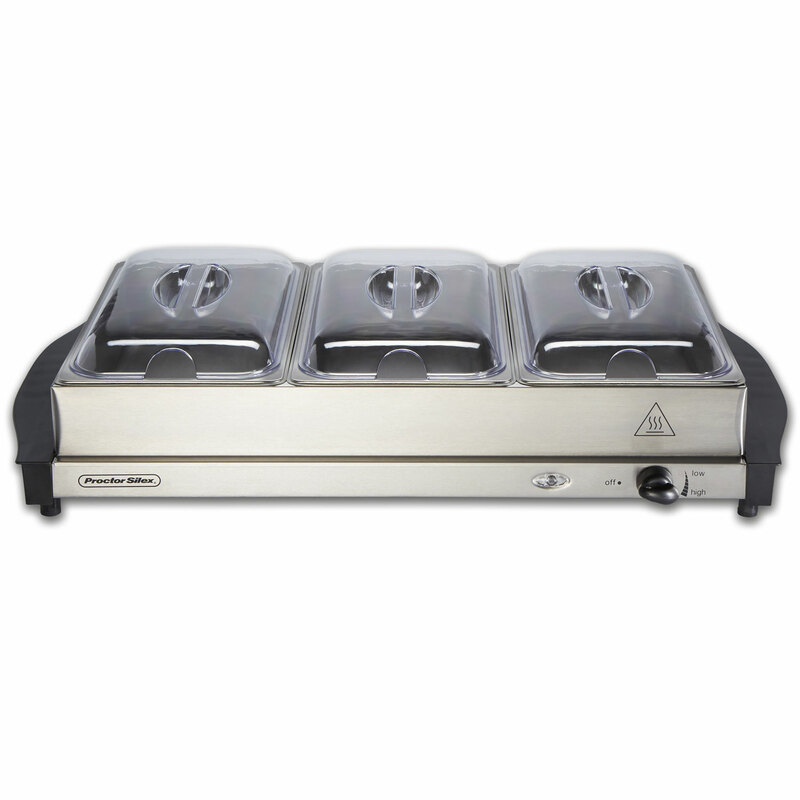 Just place cooked food in the included stainless steel chafing dishes, or your own heat-safe dishes, and set the warming temperature. 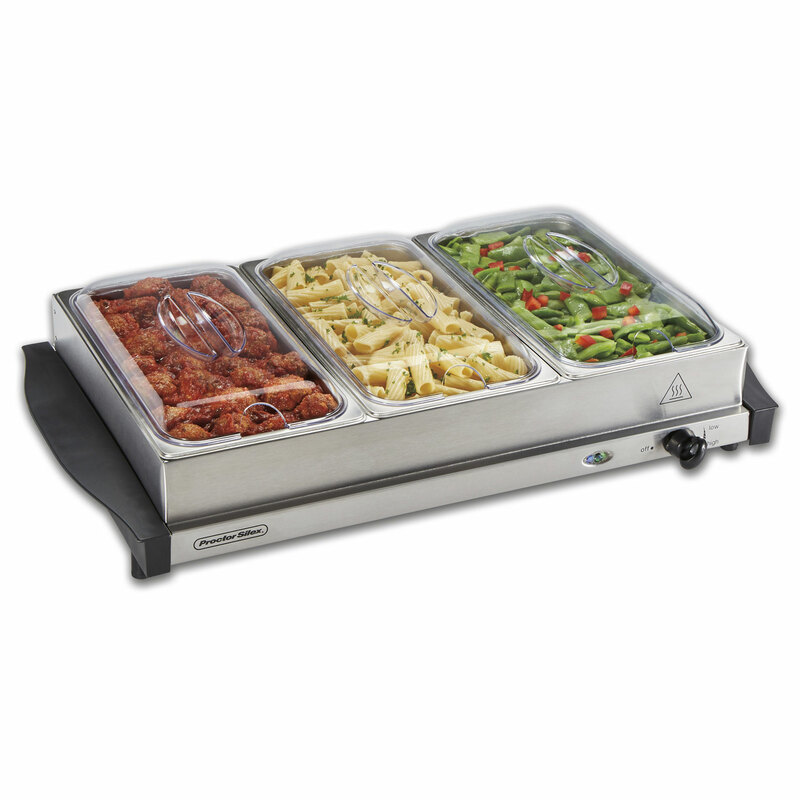 The tray works to maintain the temperature so you can join enjoy your party knowing the food is just right. 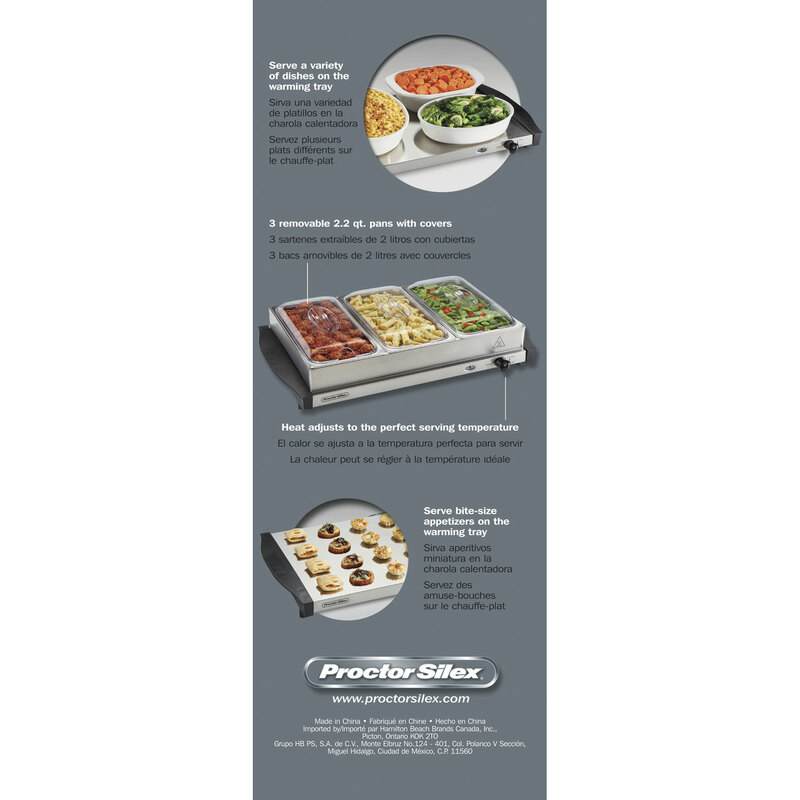 Use this entertaining must-have two different ways – as a buffet server for dishes of food or a warming tray for bite-size appetizers. 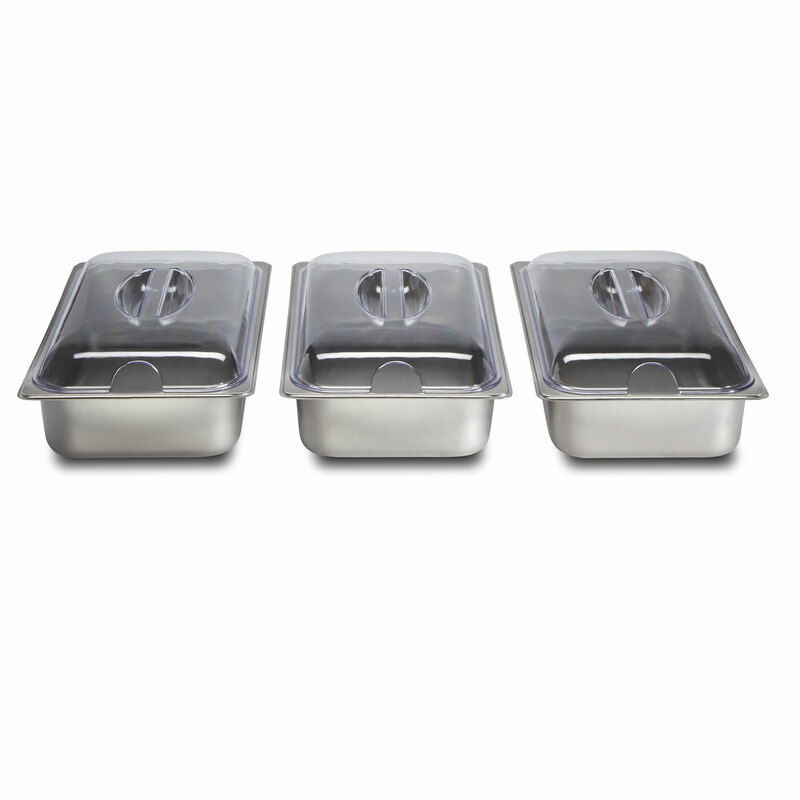 Serve a main and sides in the 2.2 quart-sized stainless steel chafing pans. 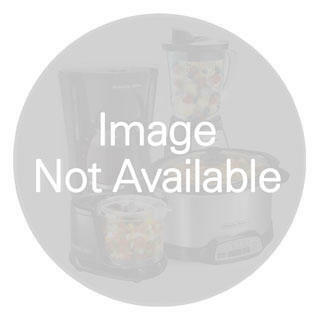 Each one includes a domed lid to keep moisture in with a spoon slot for easy serving. 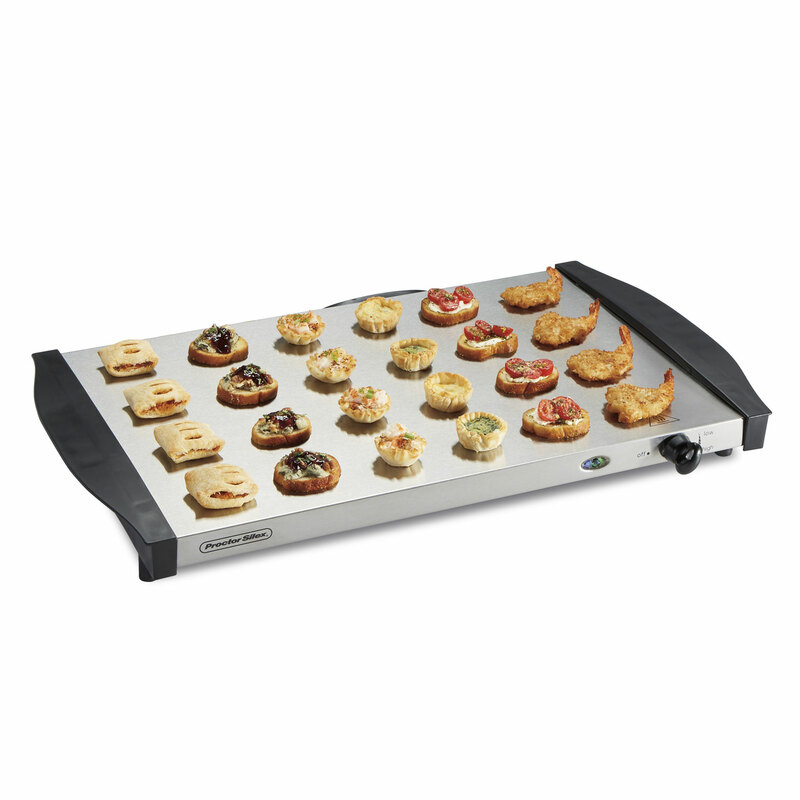 Serve small, perfectly warmed bites - like pigs in a blanket or stuffed mushrooms - by putting them directly on the 13 x 21 inch warming tray. 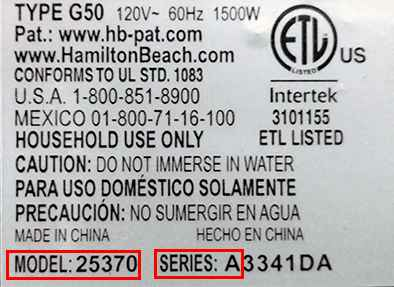 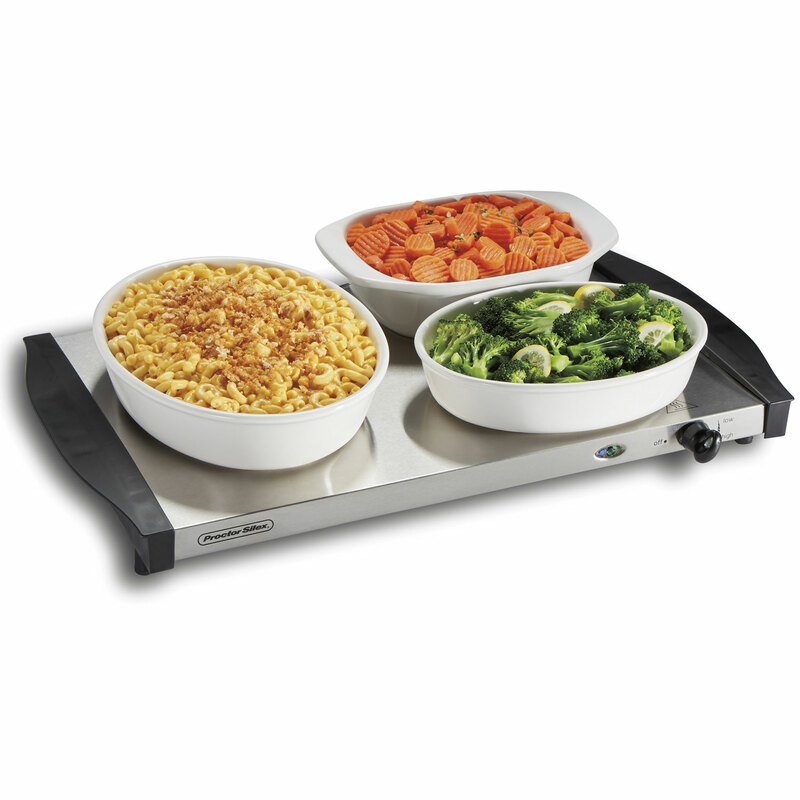 Choose to use the included pans or place your own heat-proof pans, including disposable aluminum, onto the warming tray. 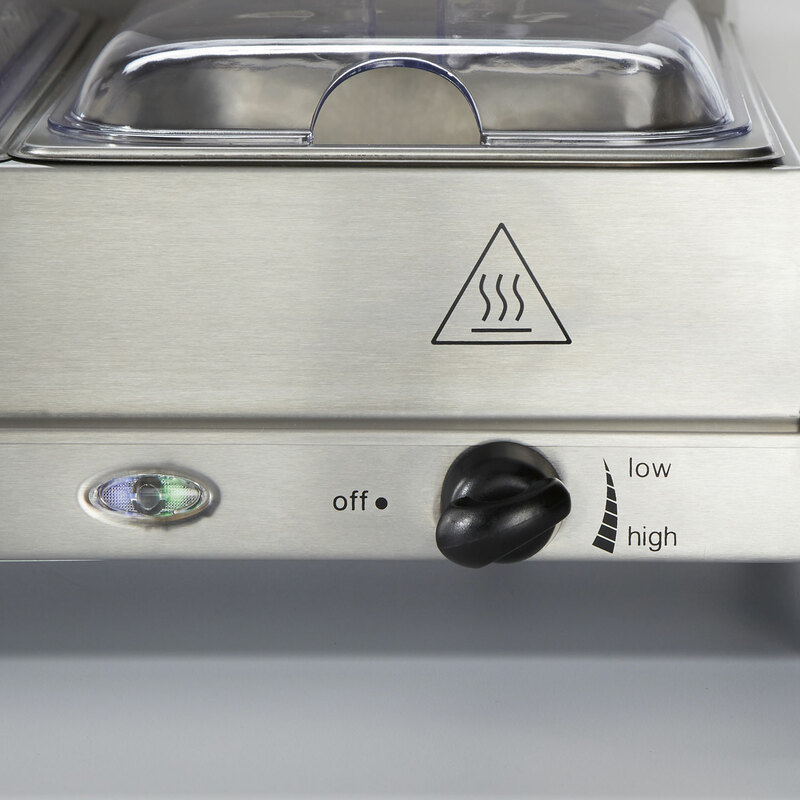 Once the temperature has been set, the Buffet Server and Warming Tray will cycle on and off to maintain the preset temperature. 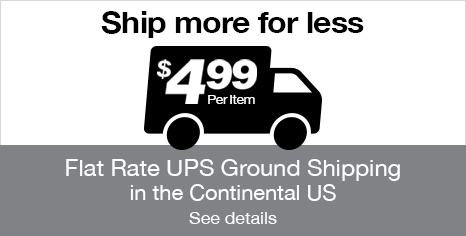 Don’t worry about reheating foods and checking temperatures while entertaining. 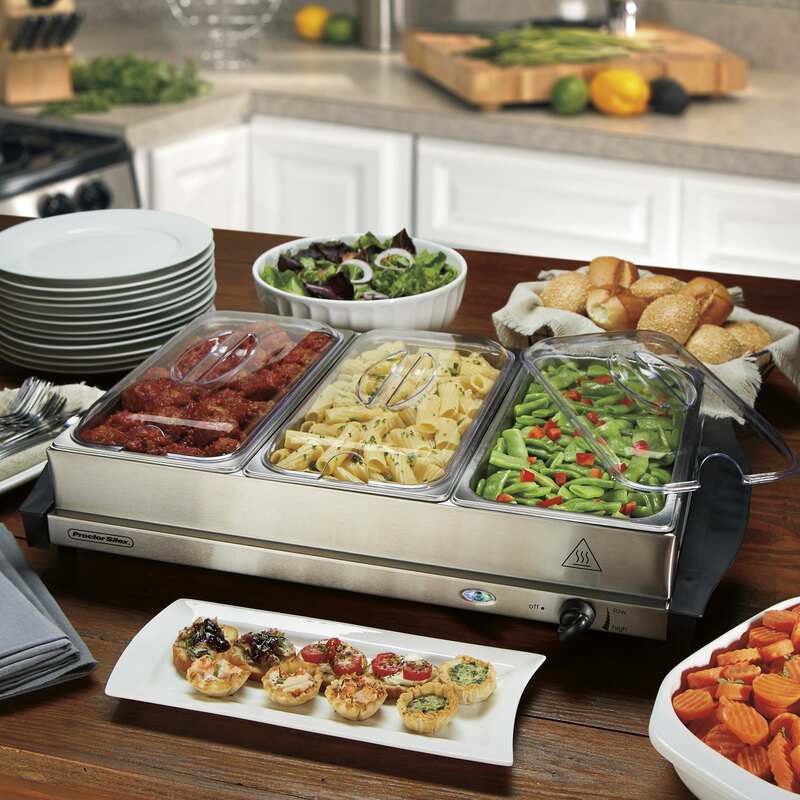 This electric buffet server and warming tray makes feeding a crowd easy.